A graduate of Macalester College and United Theological Seminary of the Twin Cities, Rev. Campbell served churches in Grand Rapids, MI, and Bemidji, MN, and worked as a campus minister and a community organizer before coming to Mayflower in 2005. 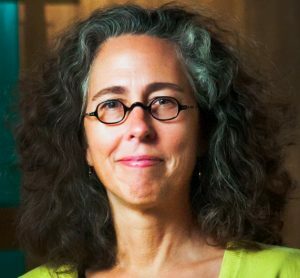 Sarah is a fellow of the Fund for Theological Education, a Lilly Endowment National Clergy Renewal Grant recipient, a National Council of Churches Circle of Names Campaign Honoree (2011), a Leyseth award recipient (2010), and a recipient of the Louisville Institute’s Sabbatical Grant for Pastoral Leaders (2010, 2016). She was awarded the Avery D. Post Ecumenical and Interfaith Achievement award at the 28th General Synod of the UCC in 2011. Sarah was chosen by the United Church of Christ to serve as a delegate to the 10th Assembly of the World Council of Churches in Busan, Korea, in 2013. Her publications include “Are you a Theologian?” Prism, (volume 10, spring 2004); “Non Creedal in the Cradle of Creedalism: Six Months In Istanbul,” Prism, (volume 25, spring 2011); “Pilgrimage to Varanasi, the Holy City of Death,” Common Lot (winter 2016) p 12; and “Ars Moriendi et Ars Maerendi: A Guide for Progressive Christians” (self-published 2016). Under Campbell’s leadership, Mayflower has embraced a clear mission for “God’s dream of justice,” partnering in the building of Creekside Commons workforce housing; transforming the church’s pre-school to an all-day early childhood center for mixed-income families; forging a powerful community organizing relationship with ISAIAH; refusing to sign civil wedding licenses until the state’s definition of marriage provided equal marriage rights for all; committing to becoming carbon neutral by 2030; changing the governance model to make the church more nimble and responsive; and building the staff, including a full time associate minister to empower the church’s justice work. She has lived in Avignon, Rome, Istanbul, and London. Sarah’s husband, Gus, is a writer and classics professor. They have two grown daughters, Hope and Hannah. Rev. Howard K. Bell received his B.A. from Bethany College, Bethany, W. VA., and his M. Div. from Yale Divinity School, New Haven, CT. Howard was ordained through the Christian Church (Disciples of Christ) in 1972 and was authorized for ministry in the United Church of Christ (UCC) in 2007. Howard served for seven years as a Program Director at the University of Minnesota YMCA. He has extensive experience in non-profit leadership, having served as a founder and the Coordinator for Hospice Care at Abbott Northwestern Hospital, and Associate Director for the Minnesota AIDS Project. Howard also was the first Hospice Chaplain in Minnesota at Bethesda Hospital. For 20 years Howard was the founding Executive Director at Pathways, an organization that offers psychological, emotional and spiritual support to seriously ill people, their families and their caregivers. Howard has served in numerous volunteer capacities with the Minnesota Conference, UCC, including the founding Chair of the Open and Affirming Ministry Team. 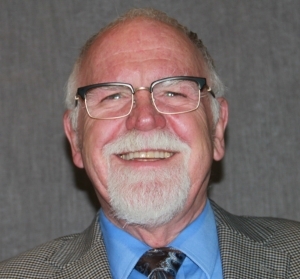 Currently he is serving as Chair of the Nominating Work Group. Since 2010 Howard has served the following ministries: Interim Associate Minister at Mayflower Church, UCC (Aug 2010-May 2013); Acting Conference Minister for the Minnesota Conference UCC (June- Sep 2013); Summer Pastor for Falcon Heights UCC; Interim Pastor at Edina Morningside Community Church, UCC; Interim Pastor at Community United Church of Christ, St. Paul Park; and Sabbatical Supply Pastor at St. Anthony Park UCC. Howard lives in Eagan with his husband, Christopher Cook, and two Burmese cats, Tristan and Otto. He has four adult children, three of whom are married, and is the grandfather of eight grandchildren. 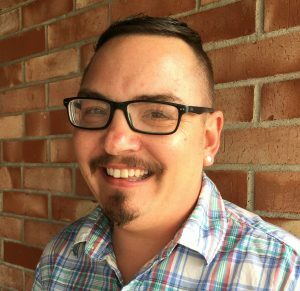 As a recent graduate from Pacific School of Religion in Berkeley, California, Eli’jah’s focus was on liturgical studies and queer theology. While at seminary, he worked in various capacities as a youth minister, Bible Day Camp director, and youth retreat facilitator, bringing with him in each of those experiences a spirit of helping people of all ages find reason to make ritual and spiritual meaning outside the church walls. Before answering God’s call to return to school, and earn a master’s degree in divinity, he worked as a stage manager, and assistant stage manager in regional theaters around the country. He brings with him a deep passion for helping children and youth grow their faith through creative rituals, and building intergenerational relationships. Nancy Grundahl has been the conductor of the Mayflower Adult Choir for more than 35 years. She is also the children’s choir director at Mayflower. Nancy holds vocal performance degrees from St. Olaf College and the University of Minnesota. As a soprano soloist, she has appeared in recitals and concerts throughout the area, and has taught voice at St. Olaf College. In addition to her work at Mayflower, she is the conductor of the Angelica Cantanti Concert Choir (youth choir) and the Riverside Singers of Augsburg College. More than 60 of her arrangements and compositions for choirs have been published by Santa Barbara, Alliance, Augsburg Fortress and Hal Leonard. She is active as a clinician and guest conductor. Her work with choirs draws upon her experience as a solo singer and voice teacher. Her exploration of vocal techniques for beautiful singing is a focus of her teaching and conducting. She enjoys finding repertoire for the Mayflower Choir that challenges the singers and enhances and deepens the worship experience. Family time at the cabin, taking care of her grandchildren, walking the dog and gardening keep her balanced and full. Dorothy Williams has served as Mayflower organist for more than 35 years. Her musical experiences began early and continued through a piano major at Texas Wesleyan College, a Masters degree at Colorado State University, and doctoral studies at North Texas State University. She served as staff and recital accompanist in vocal studios at Eastman School of Music, and on the music faculty at North Texas State University, Chicago City College, University of Calgary, University of Western Kentucky, and Texas Woman’s University. In the Twin Cities she has collaborated with various groups, including Harmonia Mundi, Calliope Women’s Chorus, One Voice Mixed Chorus, TransVoices, Vocalpoint, and Mayflower Church to compose and arrange works for performance. She has two children and six grandchildren. Randi Grundahl Rexroth is the conductor of the Mayflower Youth Choir and also serves as the Youth Music and Bells Coordinator. She has taught choral music in Minnesota and Wisconsin and grew up in the Mayflower youth music program. Growing up singing at Mayflower was a meaningful experience and she hopes to provide the same for the next generation of singers. As a youth who sang with the late and beloved Dana Blanck, Randi is honored to continue the vibrant tradition of children and youth singing at Mayflower. Currently she teaches at Visitation School in Mendota Heights and is the assistant director at the Twin Cities Women’s Choir. Randi is also an arranger and composer and enjoys creating new pieces for choirs and small ensembles. She loves to garden, knit, and spend time with family at cabins. Mary Kay Duquette, a 20-year member of Mayflower UCC, has been involved in church music her entire life, singing, playing piano, organ or French Horn, and ringing bells as a youth as well as serving as church organist for various churches over the past 40 years. Retired from organ responsibilities, Mary Kay began directing the Mayflower Bells, the adult handbell choir, in fall 2018. Mary Kay holds a bachelor of science in business administration/marketing with a minor in music from Morningside College, as well as a master of science in finance and organizational development from the University of Colorado-Boulder. She is a Senior IT Service Delivery Manager for Xcel Energy. Mary Kay enjoys reading, quilting and time with her children and dog.